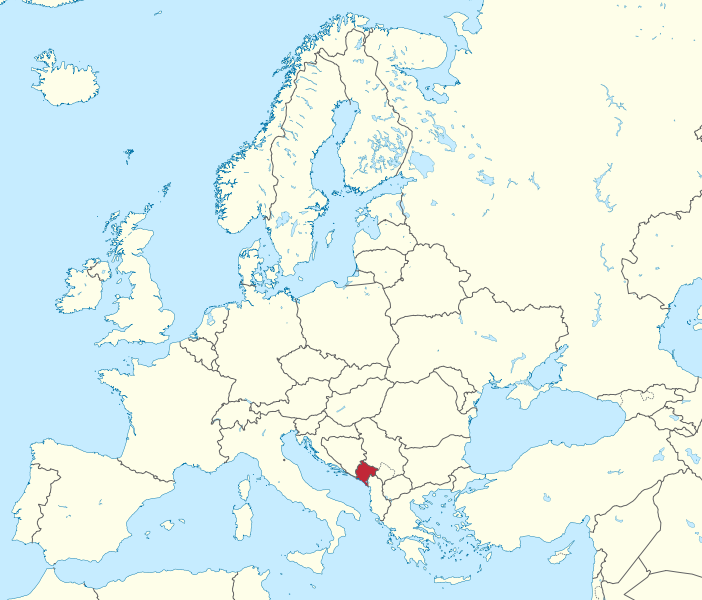 Montenegro is a southern European and Mediterranean country and lies on the Balkan Peninsula in the very heart of Europe. With only 411 km of state borders, Montenegro opens towards Serbia, Bosnia and Herzegovina, Albania Croatia and the Adriatic Sea. 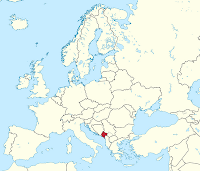 The capital city is Podgorica. 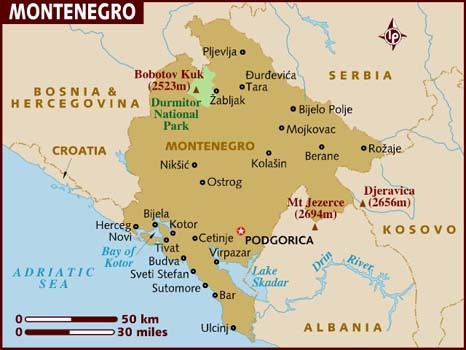 Numerous civilizations were drawn to both the fertile plains and the coastal zone of Montenegro. Each of them left their mark of existence. On a small territory, colonnades and aqueducts of antique civilizations join minarets and Turkish spas, while the remains of the Ottoman Empire meet the medieval Christian architecture and painting. The natural setting enchants by its beauty, mild beaches, clear lakes, fast rivers, and gorgeous mountains. Given the small size one can literally wake up along the beautiful Adriatic coast, have lunch on the banks of Skadar Lake, and enjoy an evening walk in the Montenegrin mountains. The technologies applied in Montenegro are characterised by high greenhouse gas emissions and the production of large amounts of waste. Such technologies are represented in the currently active mining and metal industries. Old and polluting industry leads to contamination of specific locations and negative environmental effects of major pollutants; a particular problem is industrial liquid wastes discharged to rivers. Air pollution is also a problem around industrial cities. High levels of urban pollution – solid waste, liquid waste, undeveloped infrastructure – are also an obstacle to economic development and especially for tourism, the state of infrastructure and facilities and equipment for water supply being generally poor. Large amounts of water are lost in the system. Coastal waters are polluted from sewage outlets, especially in resort areas such as Kotor. The use of resources such as energy, water and forests is unsustainable and they are sometimes subject to over-exploitation. The traffic has an increased impact, both road – unsatisfactory fuel quality, old vehicles, congestion in large cities and poor public transport systems, the need to build new roads –and maritime: lack of measures for addressing pollution caused by ships/ boats. Threats to biodiversity are due to destruction of habitats of certain species, and excessive exploitation of commercial species. There are five national parks, which are the most attractive and ecologically best-preserved nature reserves – Durmitor, Biograd primeval forest, Skadar Lake, Lovcen and Prokletije. Montenegro has been experiencing warmer temperatures, changing hydrological conditions, and is getting hit more frequently by extreme events like floods, forest fires, heat waves and droughts. As temperatures continue to rise into the 21st century, Montenegro's mountain glaciers will recede, contributing to further hydrological changes in the country. Water shortages are expected to become more frequent in the future. The level of citizen participation in CSO activities is low. Citizens give very little to charity, rarely volunteer and rarely participate in local community actions, which could help them coordinate their efforts to resolve some common problems. Bearing in mind the traditionalist trait in the Montenegrin society, citizens are focused on supporting their families and relatives, rather than supporting and engaging in associations. In addition, certain relevant social groups (such as the poor and rural people) are not involved in CSOs, which, in turn, are mainly concentrated in urban areas. The 2004 research by CRNVO sets the number of respondents being members of NGOs (which are only one type of CSOs) at 7.4%. According to the 2001 “World Value Survey”, 18% of the respondents volunteered in some organisation. SOCEN research indicates that 48.9% participated in some “environment protection volunteer action” and 48.7% took part in a “humanitarian action”. Volunteer work in Montenegro is not valued as a civic virtue, and in the future it will depend heavily on the economic situation and the development of a middle class. Information by the NGOs on civic participation in 2005 debates also shows relatively small numbers of participants. People with somewhat longer experience in civil society development claim that, once citizens recognise their stake in issues at the local level, they are ready to participate. Citizens are generally more ready to attend community meetings than to develop individual contributions to the solution of local problems. On the local community level, it is difficult to assess civil society development. However it is clear that only a small minority of people participate in collective community actions. One of the biggest and most active subsectors within civil society is environmental NGOs and certain organisations dealing with this issue have become very prominent. In this area, CSOs are becoming more and more significant in the eyes of the public as supported by the above examples, and increasingly they are viewed as key actors on the issue of environmental protection. 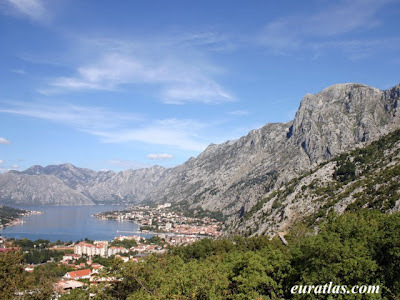 According to OECD there are about 20 environmental taxes in Montenegro, among which 6 regard fuel and vehicles, 2 regard air pollution, 4 regard water, 2 regards waste, while the remaining 6 refer to use of resources and nature protection. A series of environmental protection strategies on water, waste and waste-water were adopted, which are based on priorities identified by municipal authorities: the National Waste Management Strategy, the Solid Waste Strategic Master Plan, the Strategic Master Plan for Sewerage and Treatment of Waste-water for the Montenegrin Coast and Cetinje Municipality, and the Strategic Master Plan for Sewerage and Treatment of Waste-water for Central and Northern Montenegro. They aim to create the conditions and build proper infrastructure for municipal waste and waste-water treatment that are in compliance with EU requirements. The 2007 Strategic Environmental Assessment (SEA) Capacity Development Strategy for Montenegro. The National Strategy for Sustainable Development defines the main principles of sustainable development tailored to the conditions of Montenegro. The 1996 Law on Environment lays down the main principles for environmental protection, such as polluter- and user-pays principles, environmental impact assessment and data transparency. Few bylaws have been developed to implement these principles. The Law on Environment requires an EIA for any project that may have adverse effects on the environment. Regulations on Environmental Impact Assessment prescribe: activities subject to EIA, preliminary assessment procedures, public participation in decision-making, the procedure for the evaluation and verification of EIA and the criteria for assessment reports. Since 2002, environmental legislation has developed significantly. The country’s overarching priority, accession to the EU, is the main driving force that explains this progress. The following laws, harmonized with the relevant EU directives, were adopted in 2005 and entered into force in 2008: Law on Environmental Impact Assessment, Law on Strategic Environmental Assessment, Law on Integrated Pollution Prevention Control, Law on Waste Management and Law on Environmental Noise. The concept of social responsibility of economic actors rests on three key components: responsible attitude toward the employees, the environment and the community in which the company works. In Montenegro, big companies show little concern for the social and environmental influence they exert. Big public companies that were the main source of pollution in the past (such as aluminum plants, steel factories, etc.) already have a tradition of not investing in environmental protection, which causes grave dangers to the environment. Few companies adopted any measures at all with respect to environmental protection standards.